2017 Event Recap: Over 26K Raised! Our 2017 charity dinner was held to benefit Violet Bacci, Kevin Williams and Pete Plaxa. We were able to give over $7,000 to each family thanks to a great turnout and our wonderful sponsors! Our event this year featured two live bands and MC Dennis Mitchell from Fun 101.3. It was an evening of wine, music and community as business owners and individuals gathered to support three families in need. Read our recipient's bios below. 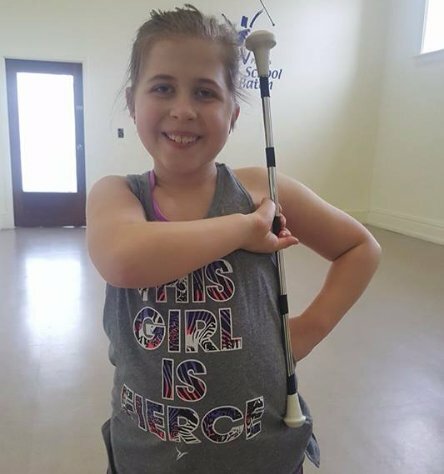 Violet is a fierce little warrior who is battling refractory epilepsy. The 8-year-old has been experiencing seizures since she was 5-1/2. She has had thousands upon thousands of seizures over the course of nearly three years and has spent a great deal of time in the hospital. Despite undergoing countless tests (including invasive testing in which her skull was opened and electrodes were placed directly on her brain), trialing 10 different medications and following a very strict ketogenic diet, the doctors could not determine why she was seizing uncontrollably. Then, in November 2016, Violet underwent neurosurgery to remove two lobes from the left side of her brain. After her brain tissue was sent to pathology, she was ultimately diagnosed with focal cortical dysplasia, which results when the cells of the brain do not form properly in utero. It's just one of those things that can happen to anyone; there's no way to predict it or prevent it from happening. However, it is a major contributor to epilepsy in children. While the surgery has reduced her seizures dramatically, Violet is still experiencing far more than her doctors expected. She has undergone additional testing to determine if further surgery is needed. Unfortunately, the surgical procedure affected Violet’s vision as well as the language center of her brain, making it difficult for her to say what she means and to comprehend what's being said to her. At 36 years old, Kevin Williams was diagnosed with bladder cancer after experiencing sudden pain in his abdomen. Kevin’s case was baffling. The doctor had never treated a 36-year-old man with bladder cancer who had never smoked. He suggested it could be environmentally related to his job in a machine shop and recommended that Kevin find another line of work. Kevin was forced to walk away from a job he had enjoyed for 18 years. He had worked his way up to being a supervisor, plus had accrued valuable vacation time. Fourteen years later, as Kevin was raking leaves, he noticed a twitch in his arm. He went to the family doctor who prescribed muscle relaxers but two days later, he started dragging his leg and panic set in. Kevin knew something was wrong. Kevin was taken to the emergency room at Hershey Medical Center, and tests discovered a tumor in one of Kevin’s lungs. Further testing revealed the cancer had traveled to his brain and spine. He was admitted to the hospital and whole-brain radiation tests revealed something had to be done right away in order to reduce brain swelling. Kevin’s sister-in-law was already investigating options. She spoke with a doctor at MD Anderson Cancer Center in New Jersey, which is equipped with gamma-knife technology. This alternative to traditional brain surgery uses radiation and not a scalpel to treat complex and difficult conditions such as Kevin’s. Because affected areas can be precisely pinpointed, side effects such as vision loss are lessened. Fortunately, MD Anderson accepted Kevin’s case. Two days later, he arrived at the cancer center to be readied for the procedure and six hours later, Kevin walked out of the center and returned to Lancaster. Kevin still had to deal with issues relating to his lung and spine. The itinerary included chemo infusions every week for 10 weeks and Xgeva shots every month (for 18 months) for his spine. Hershey Med conducted a genome study and was able to pinpoint the mutation of Kevin's cancer and thus provide a targeted, chemo-based medicine for him to take as part of a trial study to help offset the costs. Kevin’s illness had other ramifications. He ultimately lost his job because he was unable to work and had not been at his job long enough to receive disability pay. Accustomed to helping others, Kevin and his wife quickly found themselves in need of financial help. While Kevin has been responsive to cancer treatments he and his family need help to get back on their feet after years of medical and financial stress. Pete Plaxa was first diagnosed with progressive multiple sclerosis (MS) in 1986, just before the birth of his son. Unlike most cases of MS, in which symptoms can come and go, progressive MS causes a steady physical decline. For the first twenty years of living with MS, Pete suffered only minor symptoms like fatigue, sensitivity to heat, bladder issues and foot drop. By 2006, however, he required a cane to walk, and by 2011, he was confined full-time to a PowerChair. In the last five years alone, Pete's mobility has been limited such that he requires round-the-clock care from four caregivers and his wife of 35 years, Kathy. Progressive multiple sclerosis has placed a profound financial burden on the Plaxas. Pete's PowerChair and hospital bed cost $44,000 total, and the family has had to make substantial modifications to their home to suit Pete's needs. Additionally, because he is still employed in sales, as he has been for nearly forty years, he does not receive disability payments and is excluded from caregiver assistance programs. Most recently, his health insurance provider has ceased to pay for his twice-weekly physical therapy visits, the loss of which has resulted in serious physical and emotional setbacks for Pete. 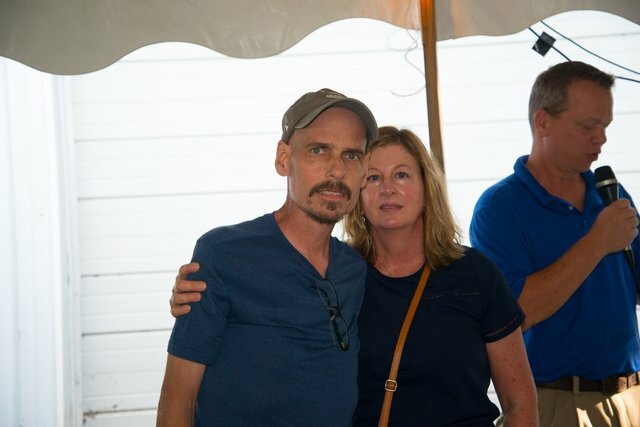 Despite the severity of his disease, Pete remains optimistic and strong for his wife and children, and seeks only "to be able to live and love.” Pete is a fighter and has been an example to many throughout his battle with MS.